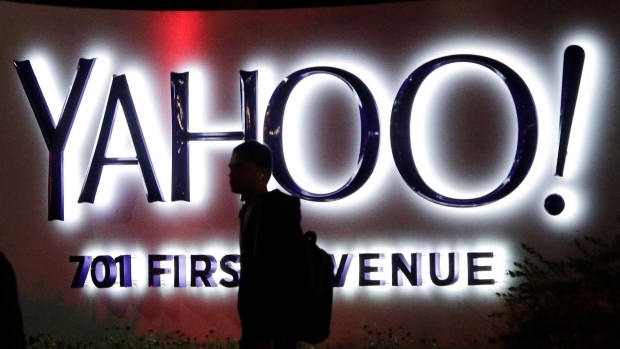 SAN FRANCISCO - Nearly 200 million people who had sensitive information snatched from their Yahoo accounts will receive two years of free credit-monitoring services and other potential restitution in a legal settlement valued at $117.5 million. A more detailed breakdown used in the revised settlement drove up the estimated cost. The money will be paid by Yahoo's current owner, Verizon (VZ.N), and Altaba, a holdover from Yahoo's past that still owns a stake in Chinese internet company Alibaba Group (BABA.N) worth billions of dollars. If approved, the settlement will become part of the financial fallout from digital burglaries that stole personal information from about 3 billion Yahoo accounts in 2013 and 2014 - believed to be the biggest data breach ever. Yahoo didn't begin to disclose the extent of its security breakdown until 2016 amid an FBI investigation that eventually linked some of the hacking to Russia . The revelations brought a mortifying end to the reign of Yahoo CEO Marissa Mayer, eventually prompting the company to reduce its selling price to Verizon by $350 million. The settlement will also pay up to $32.5 million in fees and other expenses to the lawyers representing Yahoo accountholders, down from the $37.5 million sought in the earlier agreement - another sticking point for Koh.